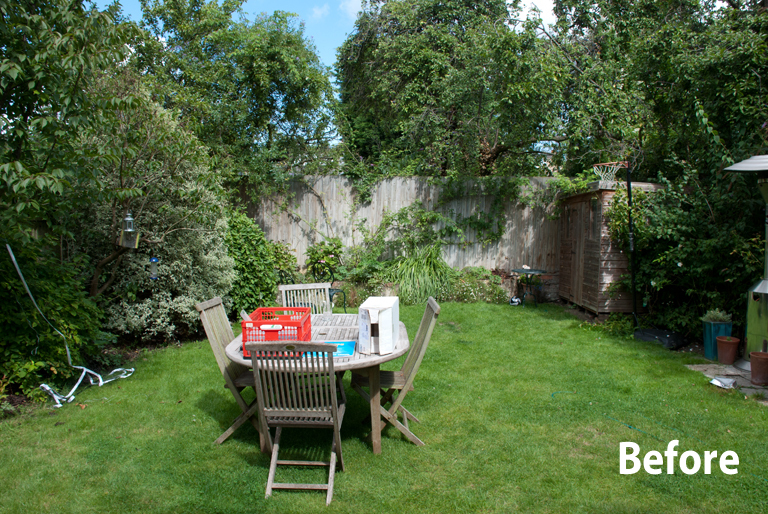 I have recently been working with a family in Wimbledon to help them to redesign their back garden. They have extended the house at the back and renovated the inside and they’re now ready to tackle the outside. 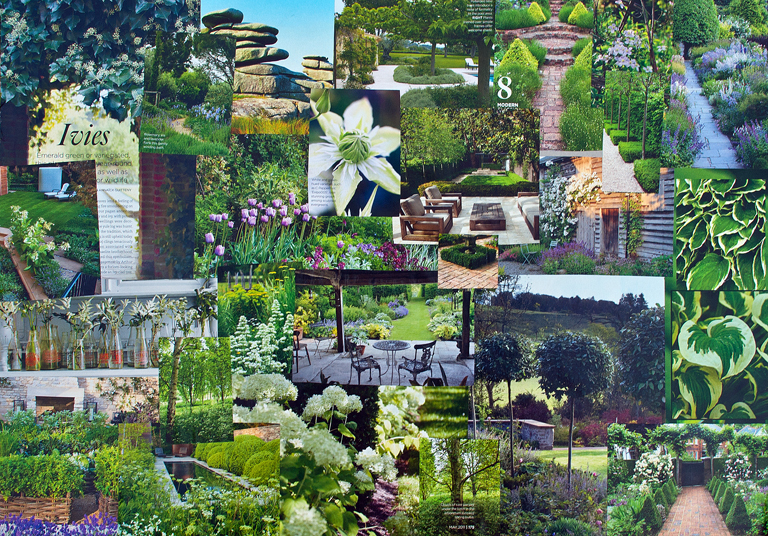 The mood board they put together at the briefing stage clearly demonstrates their personal style and the sort of feel they want the garden to have. They found the mood board exercise really interesting because it generated some serious debate about what they did and didn’t like. I think it has a real sense of calm about it. The garden now isn’t particularly inspiring, but it does provide space for the children to play. What it lacks at the moment is a designated space to sit and the table and chairs have to live on the lawn, which of course is far from ideal. 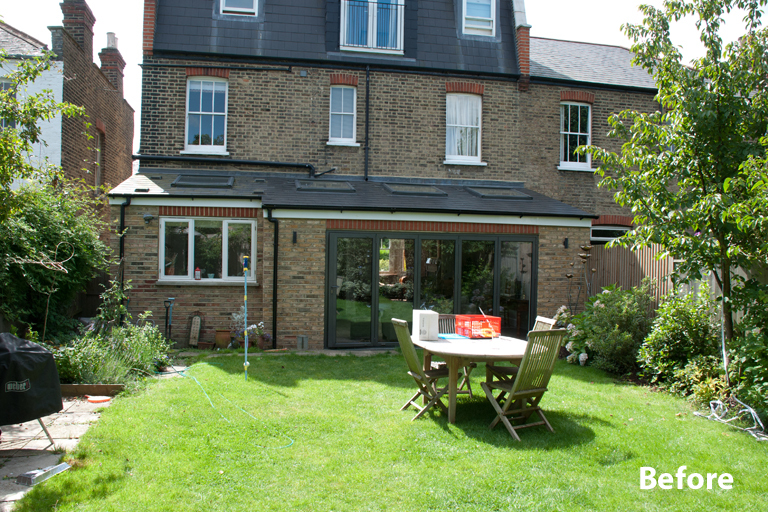 In addition, the existing ground level outside the bi-fold doors is higher than the DPC (Damp Proof Course) which will cause problems with damp if it is not dealt with. 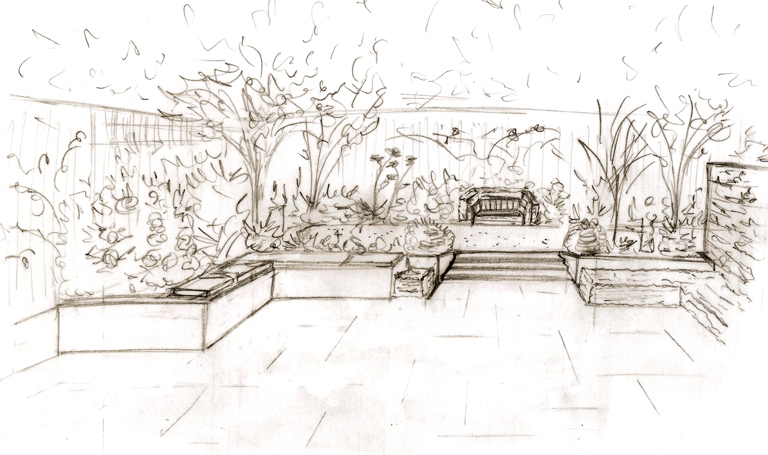 The concept design splits the garden into two so that the terrace area sits at the required 150mm below the DPC. My clients were keen to maintain as much lawn as possible so I have moved the shed. 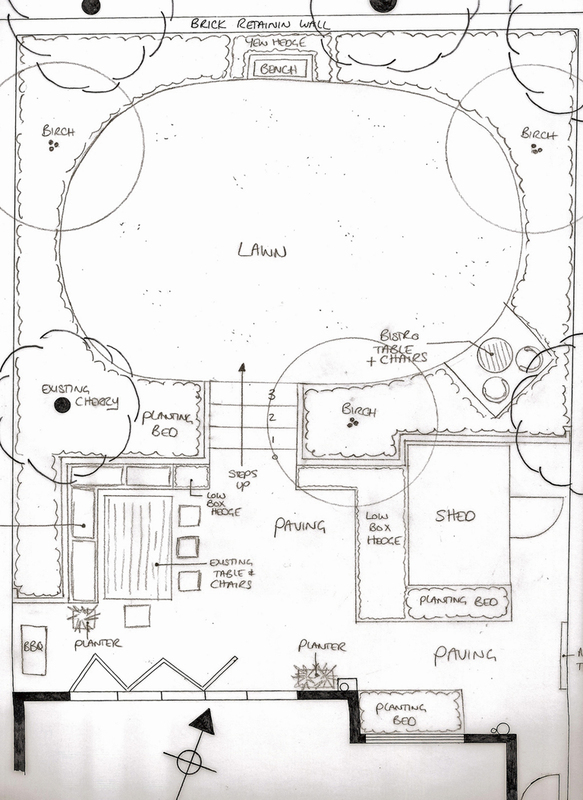 This also facilitates access to the shed in the winter without walking across the grass. The site is on heavy clay so it gets quite boggy in wet periods. We’re now looking at materials for the paving and retaining walls. They like the idea of a contemporary sawn stone but this will depend on budget. The retaining walls are likely to be rendered with hardwood used for the built in seating. 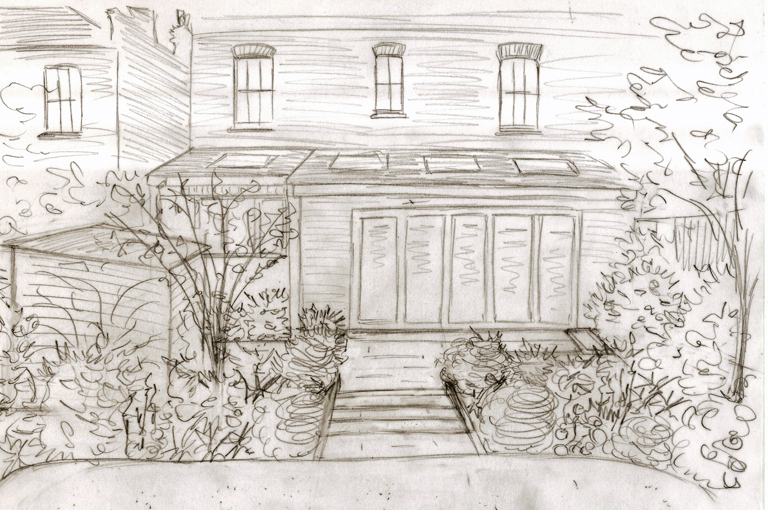 I can’t wait for the construction to get underway with this project – small gardens are often more difficult to design because you don’t have the space to play with, but the transformation at the end is more often than not, far more dramatic.